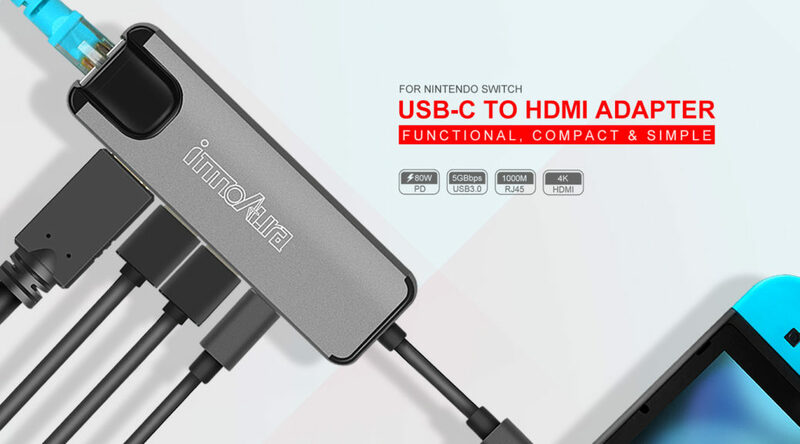 InnoAura has teamed up with NintendoSoup for a limited time coupon for their Portable Dock Adapter for Nintendo Switch. The USB adapter works as a portable and smaller dock for Nintendo Switch. It has a HDMI port, allowing you to connect the Switch to TV, as well as two USB 3.0 ports, Ethernet adapter, and USB-C PD charging port. To receive the discount, apply the code IASWITCH at checkout (expires August 31, 2018). Buy yours here from Amazon US.